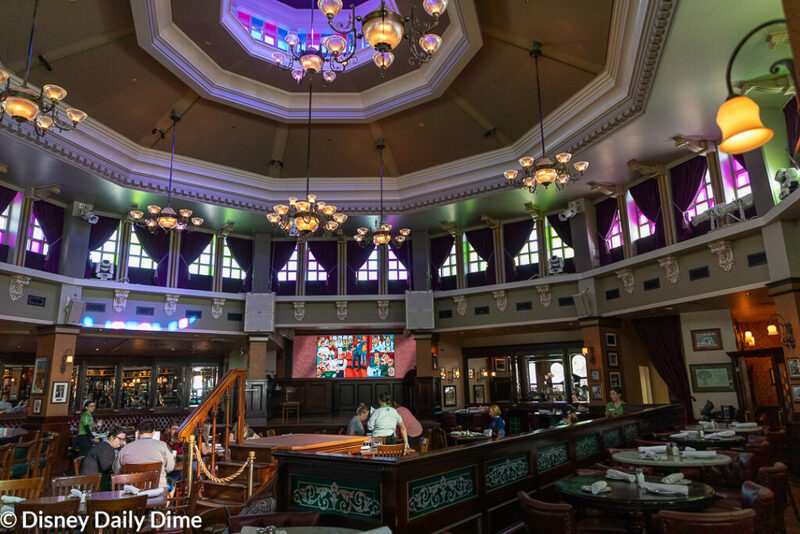 Located in Disney Springs, Raglan Road is probably one of the most authentic Irish pubs we think you will find in all of America. In fact, it is as authentic as it comes, all the way down to its bones. More on that in a second. We’ve certainly not been to every (or many) Irish pubs, but this one fits the bill with what we have in our head. On Saturdays and Sundays, Raglan Road hosts a brunch from 9:00 AM to 3:00 PM. You’ll be able to eat from a special brunch menu and experience what is probably a more toned-down version of what the pub is in the evening. Here in our Raglan Road Bruch review we’ll walk you through what you need to know and our experience dining here. Join our mailing list to receive the latest Disney news and updates! Copyright © 2019 Disney Daily Dime | Powered by our own little bit of Magic! This site is an unoffical Disney World fan site and is in no way part of The Walt Disney Company. Some parts Copyright © The Walt Disney Co. Visit Disney.com for official Disney information.